The safest way to put your baby to sleep is in a crib that is free of loose blankets. Once your baby “graduates” from a swaddler, consider a sleep sack. 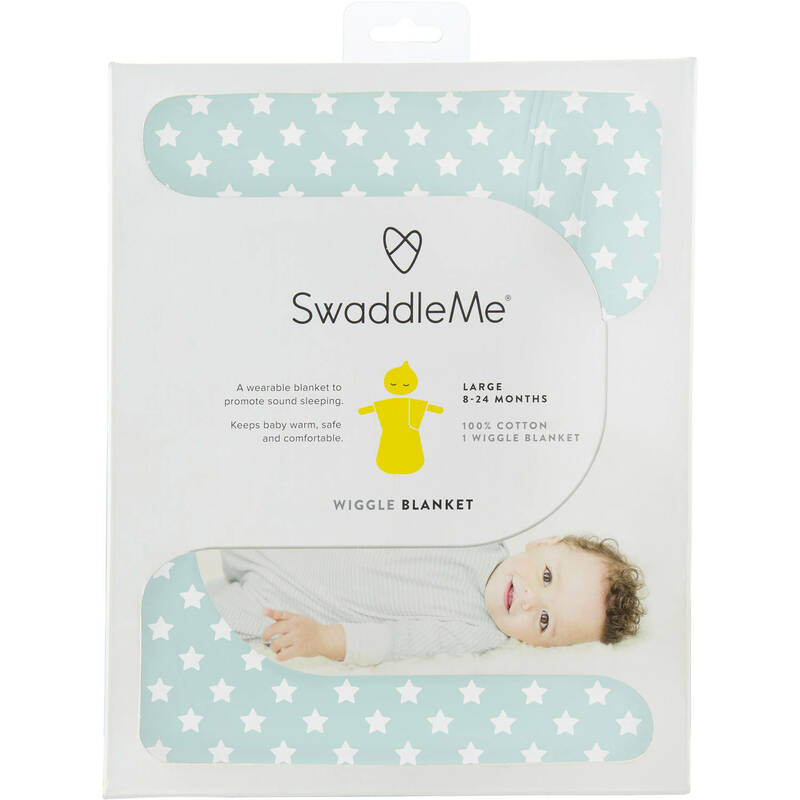 You can keep your baby warm and cozy with a Summer Infant SwaddleMe Wrap Sack or SwaddleMe Wiggle Blanket. The Wrap Sack gives you a choice of keeping your baby’s arms and hands wrapped or free. The Wiggle Blanket is a sleep sack with capped sleeves for warmth. Your baby’s arms are still free to move and explore. Wrap Sacks and Wiggle Blankets don’t interfere with your baby’s airway, and he won’t be able to kick them off. They cost around $19.99. You can buy them at buybuyBaby and other stores nationwide. Visit summerinfant.com for more information.